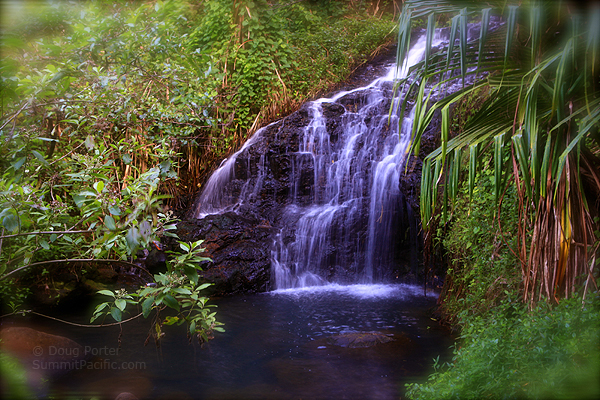 This un-named waterfall is on the hike to Queen's Bath. I don't know if it flows year round, but it's a good place to rinse off. If it has an official" name, please let me know.